Orange Lake Resorts is a family of time-share resort properties all over the United States. Their flagship Orlando, FL resort was the first to be awarded the ACE Project of Excellence Award by the American Resort Development Association. The decision makers at a property known for immaculate scenery and award-winning customer service had a mind for details and the drive for perfection. Their major document-heavy processes include deeding new properties as part of the network, employee on-boarding through their expansive Human Resources department and various legal and contract-based pocesses that required many documents to be properly driven and tracked. Orange Lake was in a bind. They wanted to focus less on completing, storing and retrieving documentation and more on the customers who frequent the resort family. They were buried under the weight of paper they were required to process and store. The cost of labor to make up for inefficiencies in the business process was astronomical. They also needed a solution that would integrate with Ultipro, the HR and employee solution that was already in place. The Orange Lake team was forward about finding a solution that would fit in both a tight budget and demanding time constraints. Preventing any down-time or loss of business was a necessity for the company. 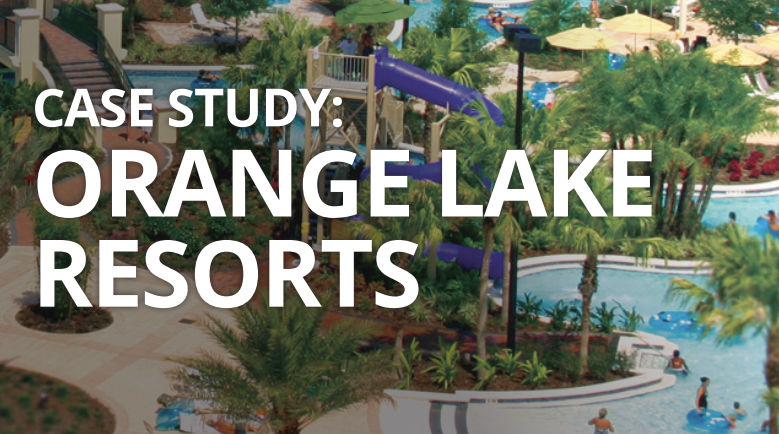 By putting document management software in place, Orange Lake Resorts was able to realize several major benefits. Tying the software to OCR and scanning hardware, forms were now immediately placed into the electronic document repository upon receipt. Not only was this saving time, but it was also preventing disorganization, disconnected departments and lost documents. IT even began using the software to keep track of user licenses, terms, and other documents internally, showing the usefulness of the system. For Orange Lake Resorts, the most surprising benefit was the establishment of cross-communication between the actual software and the databases that was made available and kept up-to-date in real time. As soon as a document was scanned in, the records were recognized and linked to the database. This provided instant access to knowledge workers anywhere in the company as long as they had permission to view the information. Orange Lake realized that maintaining or trying to improve their existing manual processes would have slowed down and eventually halted their growth exponentially. The company plans to expand document management software into their accounts payable departments next in hopes to develop a paperless accounting and billing process. See how Zeno can help your business grow with document management software.